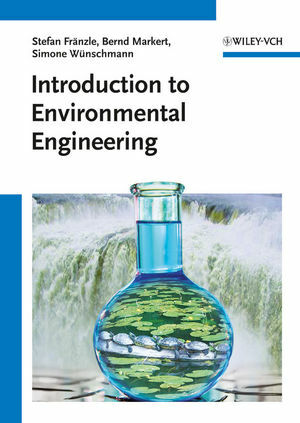 Building on the first principles of environmental chemistry, engineering, and ecology, this volume fills the need for an advanced textbook introducing the modern, integrated environmental management approach, with a view towards long-term sustainability and within the framework of international regulations. As such, it presents the classic technologies alongside innovative ones that are just now coming into widespread use, such as photochemical technologies and carbon dioxide sequestration. Numerous case studies from the fields of air, water and soil engineering describe real-life solutions to problems in pollution prevention and remediation, as an aid to practicing professional skills. With its tabulated data, comprehensive list of further reading, and a glossary of terms, this book doubles as a reference for environmental engineers and consultants. Stefan Fränzle, born 1961, is an instructor at Zittau University (Germany), teaching environmental sciences and technology, including analytics and ecotoxicology. His main research interests are applied (environmental) photochemistry, biological element cycles and element management in organisms, including bioinorganic chemistry and ecological stoichiometry. Dr. Fränzle has so far (co)published 6 books. Bernd Markert, born 1958, is Professor of Environmental Technology and former director of the International Graduate School Zittau (Germany). His professional interests include the biogeochemistry of trace substances in the water/soil/plant system, instrumental analysis of chemical elements, eco- and human toxicology of hazardous substances, pollution control by use of bioindicators and technologies for waste management, environmental restoration, and remedial action on soils. Professor Markert has so far (co)published 18 books.